The first film in the Bourne series to not focus mainly on Jason Bourne has announced a new cast member. 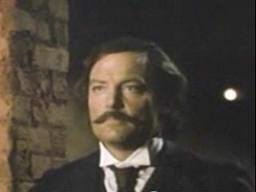 Stacy Keach has joined the cast of the new film, The Bourne Legacy. He joins star Jeremy Renner as well as Edward Norton, Rachel Weisz, Joan Allen, Oscar Isaac and Albert Finney. It is uncertain if Matt Damon will return, but it is possible that he may return in some way. In Robert Ludlum’s ground-breaking career, no other character so captured the world’s imagination as Jason Bourne. He appeared in three of Robert Ludlum’s own #1 bestselling novels, his bestselling works to this day. Now, with the major motion picture adaptation of Ludlum’s The Bourne Supremacy, the Ludlum estate has finally acceded to the demands of readers around the world, turning to bestselling writer Eric Van Lustbader to create a brand new Jason Bourne novel, The Bourne Legacy. Jason Bourne, international assassin of deadly repute, was an identity assumed by covert agent David Webb. Retired from the CIA and now a professor at Georgetown University, Webb’s life is finally his own—until he becomes the target of an assassin and is framed for the murder of his two closest associates. Fighting for his life against unseen assailants, the Bourne identity asserts itself, leaving Jason Bourne in control. Barely a half-step ahead of his nemesis and the CIA, who believes he has gone rogue, Bourne finds himself a pawn in a larger, far deadlier game. Comments for Stacy Keach Joins the Cast of “The Bourne Legacy” are now closed.